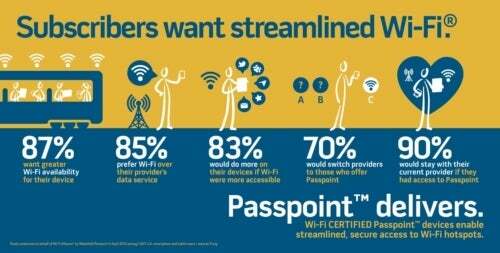 Passpoint, a feature that will allow people to automatically connect smartphones and tablets to public Wi-Fi hotspots without any effort, will soon be available, and most Americans can't wait to have this feature, according to the Wi-Fi Alliance. 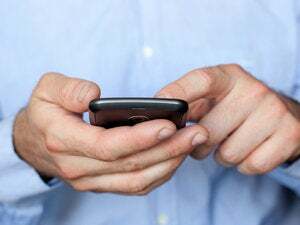 A recent poll by the nonprofit trade group found that 70 percent of U.S. smartphone and tablet owners surveyed would switch carriers just for a feature like Passport. As luck would have it, this summer the Wi-Fi Alliance will begin certifying routers and mobile devices with Passport. The new Wi-Fi feature promises to put an end to the annoying process of logging in to public hotspots through browser-based splash screens that are often an exercise in frustration. Passpoint allows devices to automatically identify and join Wi-Fi networks using the WPA2 security protocol without user intervention. The new login process can authenticate users based on a device's SIM card, a username and password, or installed security certificate. Seamless online authentication means that other Wi-Fi enabled devices, such as digital cameras, could also join a Passpoint hotspot for photo and video uploads on the go. Passpoint's rollout comes at a time when most major U.S. mobile carriers offer monthly bandwidth caps instead of unlimited data plans. Currently, Sprint is the only American carrier to offer users unlimited Internet access. AT&T and Verizon, meanwhile, have since backed off on their unlimited bandwidth offerings in recent months. So Internet junkies desperate to watch live baseball games online, download mobile apps, or stream Spotify tracks may welcome the feature. Carriers, however, aren't tripping over each other to announce Passpoint adoption. So far, only T-Mobile has plans to adopt Passpoint, according to Computerworld. It's not clear whether other hotspot providers such as Boingo plan to support the automatic login feature. The Wi-Fi Alliance's recent survey was based on interviews with 1,001 U.S. smartphone and tablet owners age 18 or older.